Pied Mastiffs - This Forum is brought to you by The Mastiff Sweet Spot and Friends of the Forum. I don't know why she deleted her posts, but I know exactly what she is talking about. We are on a couple of the same groups and the things that people post are sometimes horrifying. People (BYB's and the like) are posting "rare" Mastiff pups left and right, and other people are more than happy to buy them. Things like "Ghost Fawn", "Tiger Brindle" and the like. If you point out that there are no such things, all hell breaks loose, the "breeders" (and I use that term very loosely) go into attack mode, trash you on all the pages (even pages you don't even know about) send you threatening and hate filled private messages, the list goes on and on and on. God forbid you ask to look at the Pedigree, others who are totally unaware of the breed despite owning one or more jump on the band wagon and join them. Even such things as teaching bite inhibition get nasty. People put up references to Dr. Ian Dunbar and DogStarDaily and are scoffed at by the majority ruling party that has no knowledge of the breed what so ever. It makes you feel hopeless and terrified of how many absolutely poor quality, temperamentally unsound Mastiffs are being pimped out to the public. Nobody knows or cares about Crown Prince, Medicine Man, Tobin, Leeds, Deer Run etc., etc. They are breeding underage, non-health tested poorly bred dogs that in no way even come close to the standard. You see "Blue Mastiffs", "Brown Mastiffs", any color you can think of Mastiffs advertised, you see dogs that are very obviously mixes of a Mastiff X whatever, and nobody knows the difference. People complain "My Mastiff is 2 1/2 years old and only weighs 130 pounds, what's wrong with him/her"? It would literally take a book being written to list all the things that people say and do and think. If you can't see it now, our breed is in a whole lot more trouble than I could have ever imagined it would be. A well bred, sound, typey Mastiff is quickly becoming a thing of the past except to those few of us (generally the ones who can read and participate in a thread about good angles, nice heads, certain aspects of the history and such) who strive to maintain the true, correct Mastiff. And my new boy Elah!!!!!! And if you think I am exaggerating when I say "those few of us", hop on Facebook for an hour or so. I believe the ratio to be 1:50 or more. Actually, Kristie, I quite agreed with most of what erika had to say in her longest post, and I understand her passion about these issues. Hence, I was surprised she deleted that the one. My only point of dissent was that I personally don't see Pieds as making a huge contribution to the scenario. If you can't see it now, our breed is in a whole lot more trouble than I could have ever imagined it would be. A well bred, sound, typey Mastiff is quickly becoming a thing of the past except to those few of us (generally the ones who can read and participate in a thread about good angles, nice heads, certain aspects of the history and such) who strive to maintain the true, correct Mastiff. I am in absolute agreement with this, as well. They COULD make a huge contribution to the scenario if one fell into the wrong hands. The BYB's would do just like they are doing now, which is advertising them as a "rare" color. They have to be preserved AND protected from those that would capitalize on them simply because of their color. They need to be studied, tested, compared, and then studied, tested, and compared again. It's a tight rope to walk, but one worth walking. The pied may not make a contribution to improving breed type and may never be allowed to breed into the general population. If one argues from the position of benefiting the breed only through genetic assets, then we can just toss the history of any breed out the window, since less valued aesthetics will not be seen as a meaningful contribution, by those who only value structural genetic form and disregard cosmetics. Historically speaking, cosmetics have not been valued high on the totem pole. Therefore, the press for pied acceptance is weak, if soley based on cosmetic reasons. It's one reason why the reasons for pied acceptance is being promoted on hidden genetic assets, which may, or may not be present. The bottom line, is that a case can be made for more negatives than positives, since concerns ranging from hearing loss to mistaken identity, can be valid concerns, if not facts, on certain levels. Proving genetic benefits must have backing, otherwise it can be dismissed as wishful thinking. My position for limited pied acceptance, is coming from the weak position of cosmetic relevance. Certainly not a strong case to be made based on cosmetics, but historically valid nonetheless! We have no genetic proof either way, good or bad, to know what to do next. I think it would be a grave error to continue not testing them and skirting around any kind of evidence we may gain that could further educate us as to if they should be written back into the standard and why. What if genetic testing did prove that coloration contributes to hearing or vision loss, at least we would know that maybe it's ok to keep them out of the standard. Right know all that is happening is a bunch of speculation based purely on "What if" circumstances. Can we not at least put a little time and effort into studying them and testing them????? 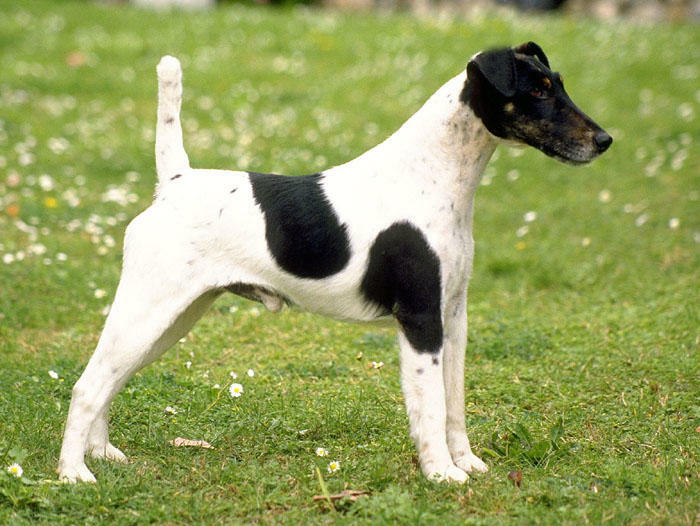 White should predominate; brindle, red or liver markings are objectionable. Otherwise this point is of little or no importance. (1783) Another Gilpin done 3 years after the pied Mastiff (1780). 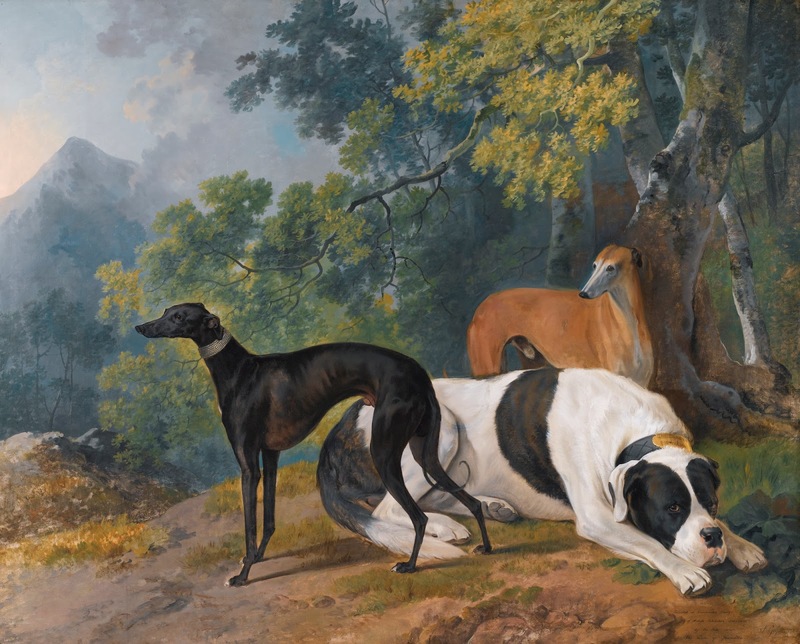 It appears that Gilpin often used the pied type as the outstanding focus of the painting. Would a pied Mastiff blend in nicely to a snowy setting at Taymouth Castle? The Mastiff color palette can have a hierarchy and yet still remain inclusive. Pied should not be feared, if it can be controlled. DE BUFFON Histoire naturelle des Animaux Daubenton,1857. Tibetan Mastiffs in Tibet can have lots of white, although not AKC preferred. At the O.E.M Club AGM, it was unanimously decided that the deviant colour known as pied, would not be accepted for inclusion in the colour description of the breed standard, now, nor at any time in the future.